Here's a great buy just in time for lawn maintenance season. 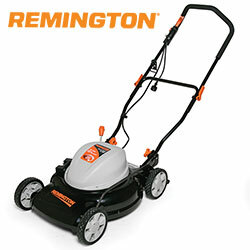 Quality crafted by Remington, this electric mower is the perfect solution for small to medium sized lawns. Its 12 amp motor operates on clean, efficient electricity and is so quiet, you can carry on a conversation with someone while it's running. 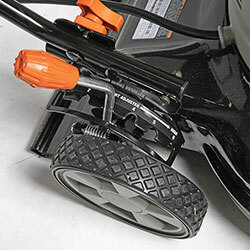 Plus the 19" 2-in-1 deck system gives you 2 ways to manage clippings - side discharge or mulch. 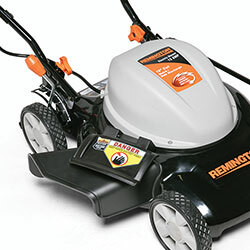 Also features single-lever height control, 6 cutting deck heights from 1.25"-3.5", 7" wheels for maneuverability and more. 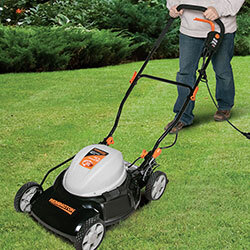 Extension cord required.